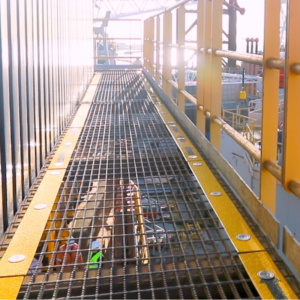 Our range of anti-slip solutions is both wide and diverse. 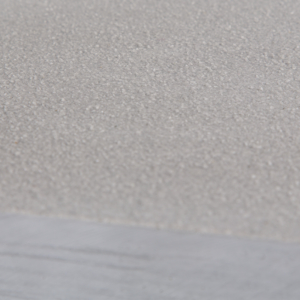 Our range of anti-slip solutions is both wide and diverse. 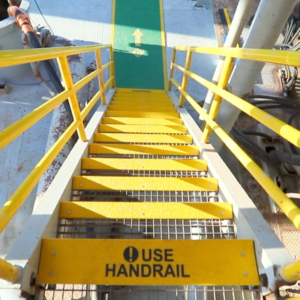 We offer anti-slip solutions for ladder rungs, cable bridges and much more. 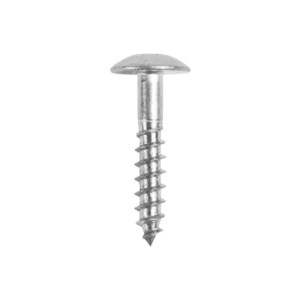 All of our products are of extremely high quality, and at the same time they are extremely easy to assemble. 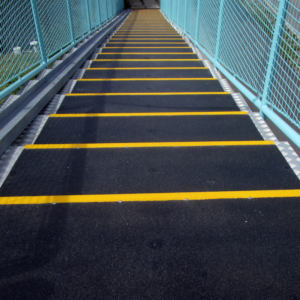 We provide complete anti-slip solutions with extremely durable products. 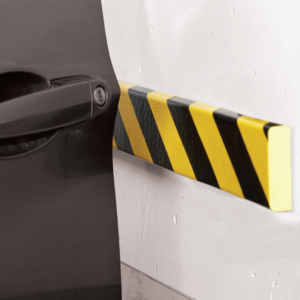 We have the opportunity to deliver our products in many different shapes, so they can be easily mounted on the element/elements that are to be anti slip secured. 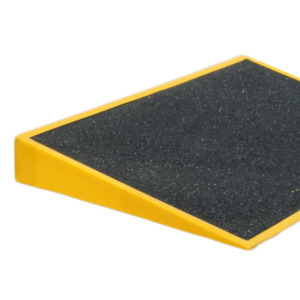 This means that we can deliver anti-slip solutions to any surface, regardless of the shape and size of it. Whatever material you want secured, we guarantee that we can deliver the perfect anti-slip solution for it. 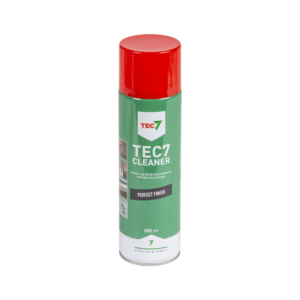 We are very flexible so should you be looking for a specific anti-slip product in vain either here or in our shop, feel free to contact us on phone +45 26 11 44 66, because we will without a doubt find a solution that suits you. 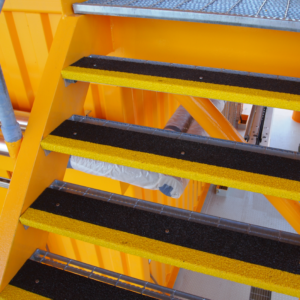 Our anti-slip solutions have the obvious advantage of preventing slips and falls in the workplace and can also be used for private purposes. For us, it is extremely important that you can move securily and safely, whether you are at your workplace or in your home. 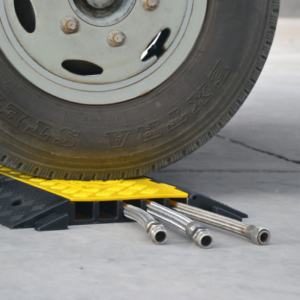 Therefore, we are also striving to develop the best and most effective anti-slip solutions in the market. 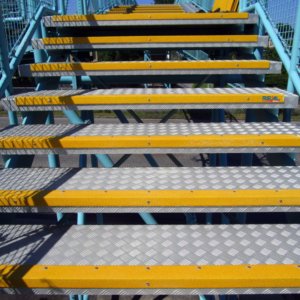 Virtually all material types can be non-slip, so there is no excuse not to secure a surface that can potentially cause falls. 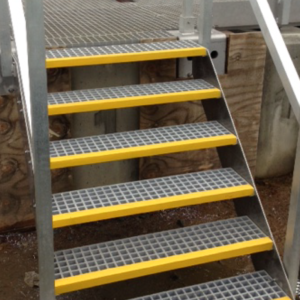 We offer anti-slip solutions that can secure concrete, wood, gratings, ladders, stairs and many other surfaces without problems. 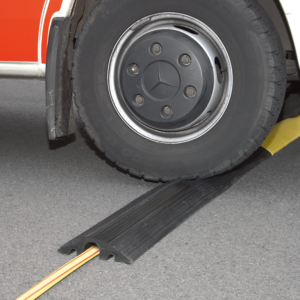 In addition to offering many permanent anti-slip solutions, we also sell a wide range of safety accessories. 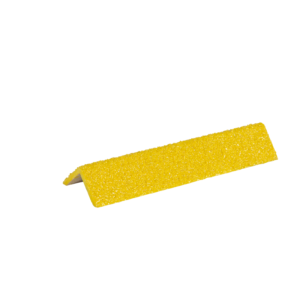 Anti-slip tape, anti-slip safety mats, marking tape or floor stickers/self-adhesive floor markers. 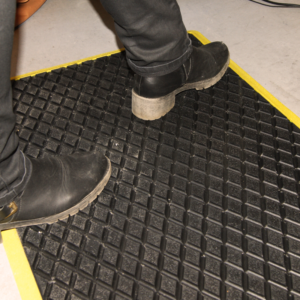 As you may have realised by now, you can find everything here that is associated with anti slip safety. 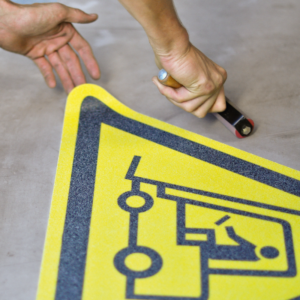 As a starting point, we recommend that you secure any surface in the workplace if the substrate involves the least risk of fall injuries. However, of course there are some substrates that are more vulnerable than others. Smooth surfaces should, of course, always be properly secured. 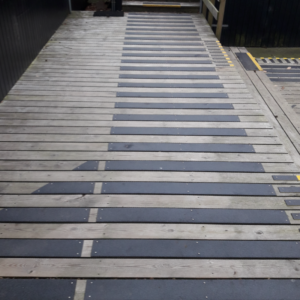 Examples of slippery surfaces can be ship decks, stairs, door slabs, wooden terraces and other wooden surfaces and outdoor surfaces that become slippery - either when it rains or when the weather conditions have left a surface behind that is risky to move on. 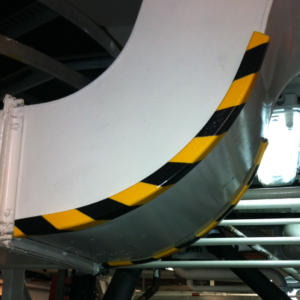 We offer both anti-slip solutions for companies and for private individuals. It is obvious why companies should invest in our solutions. No companies are interested in falling accidents. First of all, nobody wants their employees to be hurt for personal reasons. It is not pleasant to be responsible for an accident that could have been prevented. In addition, no companies want the negative PR, which will follow in the wake of a fall accident that could have been avoided. 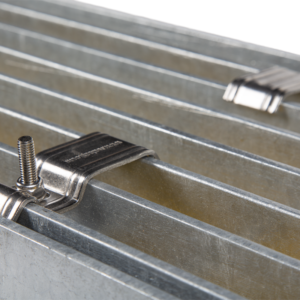 Therefore, every company should secure all exposed substrates. Private individuals should also consider investing in anti-slip solutions, as proper anti-slip secured surfaces can avoid and prevent injuries at home. 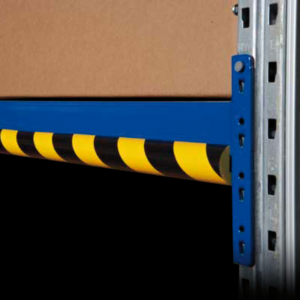 We take pride in securing working environments and keeping people upright on any surface. When we develop products, we focus on many things. 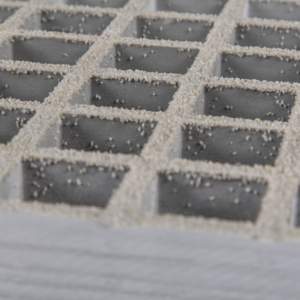 First and foremost, of course, we have a lot of focus on the materials we use. 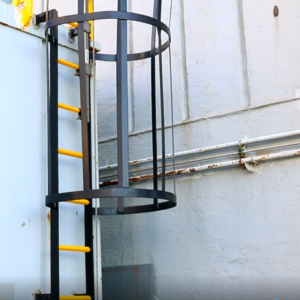 It is important to us that our products contribute to both, securing the areas that they are mounted on and that our products help increase visual security. We also focus on colors, texts and pictograms. 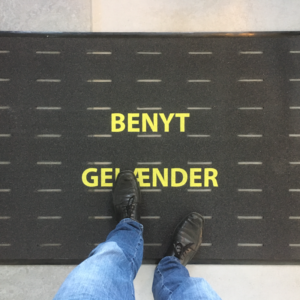 A further anti-slip dimension relates to transmitting information through text and figures. 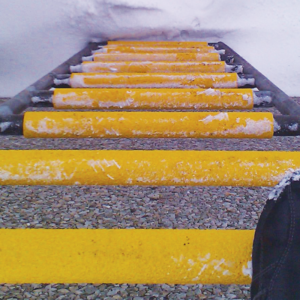 Here, it is important that the message is communicated loudly and clearly when there is a risk of slipping/falling. 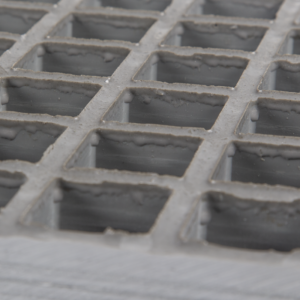 You can see a clear overview of our anti-slip solutions on this page, both above and on the left side. If you click on the individual products, you will be able to read more about them. We are a flexible manufacturer, which is also documented under Testimonials, where you can see examples on how we tailor ready-made solutions to individual needs. 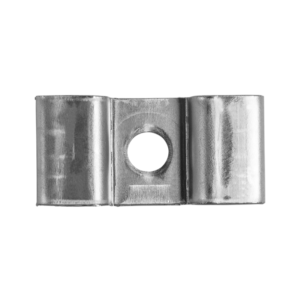 We produce a variety of different products, and there are of course differences in the materials used in the production of the different products. 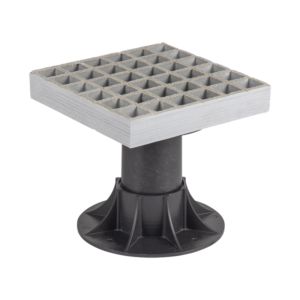 It is the same for virtually all of our products though, that the materials used in production are resistant and extremely durable. 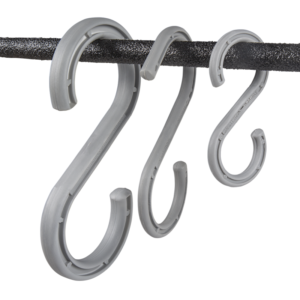 This is required because our products are often installed in crowded areas, so these must obviously be incredibly durable. 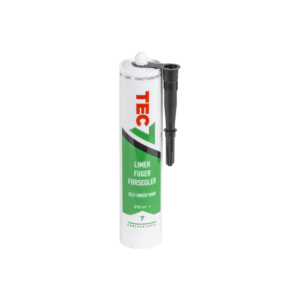 We can of course always guide you towards the exact solution for your need. 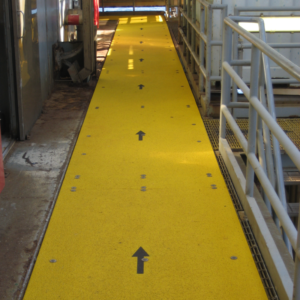 Similarly, we can guide you in terms of how our anti-slip solutions are best implemented. We are not ashamed to admit that we are nerds in our field, because it just shows how passionate we are about our work. Our status as nerds also means that we can answer virtually any questions about anti-slip solutions. You are therefore more than welcome to contact us if you have questions of any kind about anything within our field of expertise. There are some sweet and kind people ready to help you when you call +45 26 11 44 66. You can also send us an email to realsap@realsap.com.